If the day of the week ends in “y,” odds are that someone in academia is being silly. 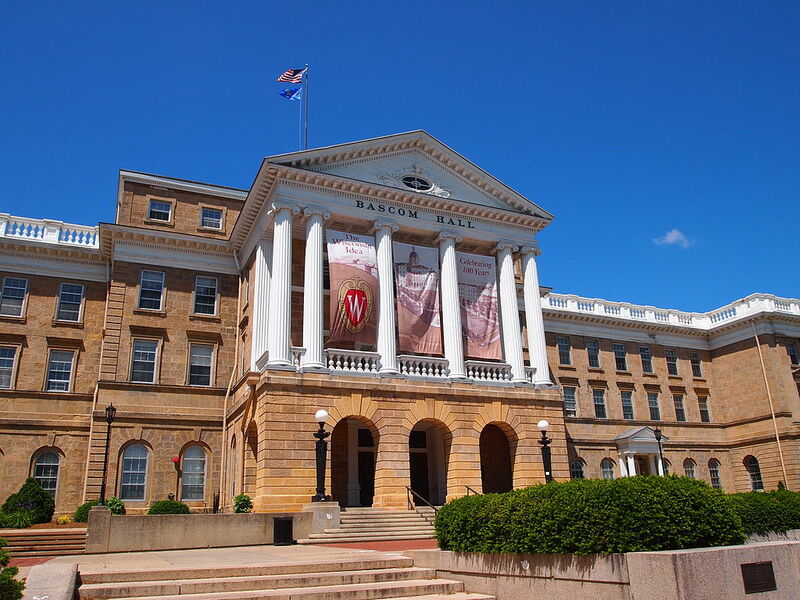 A recent example is a course in “The Problem of Whiteness” at the University of Wisconsin-Madison taught by a professor named Damon Sajnani. Two GOP legislators have called for the course to be cancelled or Sajnani to be fired. I think that they are wrong to do so, but let’s first consider why they are upset. “Whiteness studies” is a thing on campus. Viewed charitably, it begins with a set of reasonable propositions. Race has mattered in our country and it is reasonable to think that our interactions with each other continue to be affected by it. The historically disadvantaged social position of African-Americans is unlikely to be wholly irrelevant to where we are today. We may not always be aware of how race affects attitudes and actions. But as with so much on the academic left, these commonplace observations are often turned into an elaborate and vapid political contrivance in which highly problematic propositions about economics and race are treated as unassailable gospel. Of course, it just may be that, in the 21st century, race plays out in a more complicated and less cartoonish manner. Perhaps the way out of our racial past is not to double down on race consciousness and polarization. But neither the course description nor reading list hints that such views will be explored or tolerated. It seems that indoctrination and not investigation is what is on offer. We must march, my darlings. The matter has been aggravated by Sajnani’s twitter feed in which, among other things, he boasts of “enjoying” a song called “Officer Down” while watching coverage of the police shootings in Dallas this past summer. In response, state Rep. Dave Murphy (R-Greenville) has called for him to be fired. Both Murphy and state Sen. Steve Nass (R-Whitewater) have called for the class to be cancelled. Nass and Murphy are well within their rights to criticize Sajnani. But we long ago decided that universities work best if both instructors and students are free to express themselves. The University of Wisconsin has long held itself out as committed to the “sifting” and “winnowing” of ideas. That can’t happen without a full and robust protection of academic freedom — even for ideas that we regard as juvenile, simple-minded and offensive. Free speech recognizes human creativity. A marketplace of ideas is likely to generate new and better ways of thinking. It is rooted in epistemic humility. The point is not that all ideas have value or that the truth is absolutely relative and unknowable. It is that no one of us (or even group of us) has the right to decide — or the capacity to know — which ideas have no value. This does not mean that we are powerless against bad ideas. But, save for some very narrow exceptions, we must fight those ideas through reason and not suppression. Still, the University of Wisconsin is not without blame in this. While “sifting” and “winnowing” requires a respect for academic freedom, it also requires openness to different ideas. The Legislature ought not to censor what is said on campus but neither should the university. The American academy — including and often especially the University of Wisconsin — has not itself been dedicated to an open and unflinching search for the truth. Particularly in the social sciences and humanities, our universities are some of the most intellectually homogenous and conformist places in the country. This is reflected both in the academy’s obsession with “safe spaces” and the absence of conservative voices on its faculties. For too long, the idea of diversity on campus has consisted of professors hiring other professors who went to the same schools, held the same jobs, think the same way — but look different. I think it is this lack of intellectual openness that is really motivating legislators such as Murphy and Nass. Professors like Damon Sajnani are thick on the ground at the University of Wisconsin. Legislators like Nass and Murphy might be more tolerant of what they have to say if there were countervailing voices on campus. But the answer never can be to curtail academic freedom. We ought to focus on encouraging more speech and not less. Rick Esenberg is the founder and current president and general counsel of the Wisconsin Institute for Law & Liberty. Diversity is welcome at the UW system as long as you are a liberal. If you are a Conservative you are stopped from Tenure, flattened by the Establishment. What evidence do you have for that? I’d like to read about it. What UW system professors have been denied tenure and railroaded for being conservative? Can you share a link? I am going to read the course materials for this class, it sounds very interesting. Having just moved back to Wisconsin to care for aging parents, I must agree, Wisconsin is the most racist place I have ever lived. Underneath that midwest nice is a system that very much advantages me as a white woman. Minorities cannot make the changes that white people have it in their power to do. But a lot of white people do not even know how their whiteness privileges them. I suspect this reading list will be an eyeopener, especially for someone like me, who wants to see change and progress. superior, as well as justified in attacking or dismissing others. I challenge everyone to feel for both the “20 something” white police officers who have had limited previous experience with people of color, no opportunity to go to college, very brief police training, and a great deal of fear AND feel for the many very neglected and often disrespected and mistreated black men who tragically fall into escalating, violent confrontations. Denying any person’s real life experiences (injustice, loss, abuse) will not heal or help! That’s fair Steve. If the course thoughtfully and fairly explores white supremacy and white privilege that could be beneficial. If it simplistically and aggressively attacks white people that’s a different story. I think the reading list suggests that the course will be the former and not the latter. Is this not true for the right as well? Especially now? Are not the conservative propositions of economics (See Kansas) for example not highly problematic and treated as unassailable gospel? Can commonplace observations of the left not be as commonplace as those that you espouse? It seems Rick has a double standard. Here’s an op-ed that lays out the issues about courses on “whiteness” far more astutely. It’s by an actual UW scholar and professor. WHITE + MALE = $ 1 billion . I just won the lottery. According to Forbes the state of Kansas is doing find. It has the lowest unemployment in the USA, it continues to accelerate new business formation, the only negative that is mentioned is cuts to public education. Here’s a report on Kansas from six weeks ago. “In February 2015, three years into the supply-side economics experiment that would upend a once steady Midwestern economy, a hole appeared in Kansas’ finances. Both Brownback and Walker will need to hire ever- better spin doctors and candy coaters. And brain washers for good measure. Or magicians. Anyone but auditors and fact checkers. I wished that happened here in Wisconsin with education.. Let’s take another $45 million out of the UW-System. There is a disconnect. The UW-System does a good job in cranking out degrees that don’t match the skill sets employers need. The Job Center of Wisconsin has 50,000 employer requests openings and what is the UW-System doing to put college students in a path to reach these employers. We crank out classes on how white men lack empathy for women, other races and religions. I wish Kansas was here. Kansas is in terrible shape. No one with half a brain wishes they were Kansas. That is idiotic.